Waa Hoo! Kids everywhere are jumping for joy – school’s out for the summer and it’s time for fun to begin! Many parents think that once school is over – head lice goes away. Well, that’s just not the case. Lice is a year-round problem and if preventative measures aren’t taken, lice will make an appearance in homes all over the Pacific Northwest. Summer is a time to be care-free. It’s a time for vacations and summer camp – not wondering if you have head lice or panicking if you get it. That being said, we have one task for parents this summer: As you put sunscreen on your kids skin to prevent sun burns, spray a lice prevention spray on their hair to ensure that your kids remain lice free while at camp. Children should not hang towels or bags next to each other or place them in piles. Have kids wear long hair in braids or ponytails and boys should keep their hair short. Once a Week, Take a Peek. Spend 5 minutes, once a week, to check your child for head lice. All it takes is a quick comb of the hair to prevent a problem that could spread to your family and friends. To help foster a proactive approach to lice prevention we’re offering a great deal for parents! 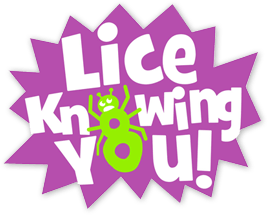 Head to any Lice Knowing You clinic and have your child’s head checked before they head off to camp. While at the clinic, purchase a Camp Prevention Pak filled with some great prevention items that will last all summer long. Then, when summer is over, head back to Lice Knowing You for a FREE lice check. Let’s stay ahead of the game and stop lice in their tracks before they start making a home on your head! We hope you have a happy, safe and lice-free summer! ← Have A Wonderful, Hopefully Lice-Free, Summer!